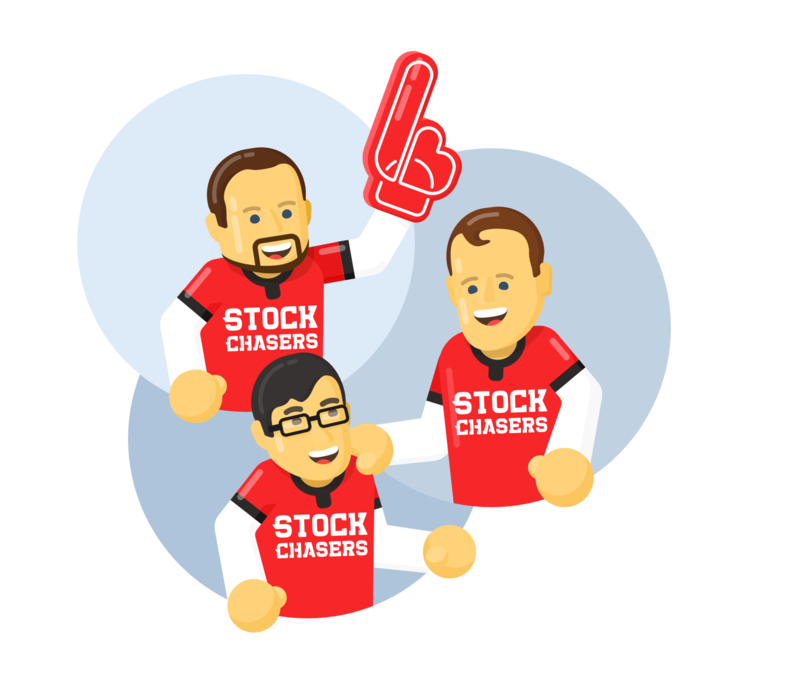 If you are a Twitter user, don’t miss any new Stock Opinion from the experts by following Stockchase. About 50 Stock Experts that you can see and hear on TV on BNNBloomberg’s Market Call show have a Twitter account. 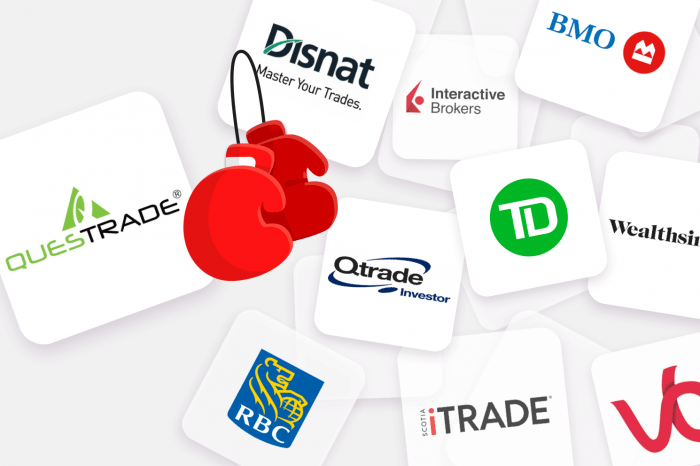 Here’s a quick list that will make it easier for you to find the Stock Experts on Twitter. For sure you can find Stockchase and Market Call on Twitter. You should follow those accounts first! Once you follow us, have a look at the list below and follow your favorite experts. Our list give you a link to the expert’s Stockchase profile page in addition to a link to their Twitter profile page. 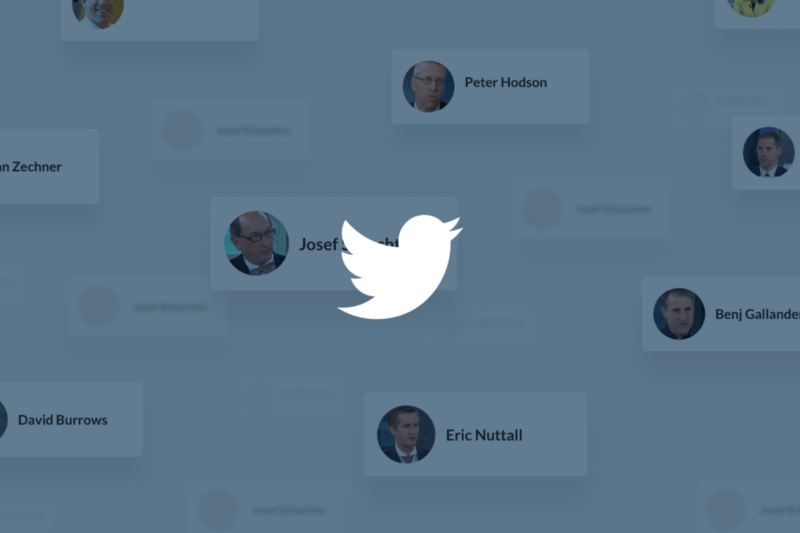 The Stockchase expert profile pages will soon feature each expert’s Twitter, Facebook and Linkedin account links but for the time being, you can find it here. The latest Tweets from Matt Kacur (@mattkacur): "FSA Morning Brief - Apr 23, 2019 Oil Hit 2019 Highl; UTX, KO, and PG All... https://t.co/BbIkkoEKud via @YouTube"
The latest Tweets from Don Lato (@donlato). President Padlock Investment Management Inc. Toronto, Ont. TSX rises above 16000 since October. Interesting couple of months. December selloff didn't make sense. The bounce was sharper than expected. Not sure what market's discounting. Fed's changed mind about raising rates. Market reacts to every bit of news on US-China trade. The latest Tweets from Bruce Tatters (@BTatters): "Market Call for Tuesday, January 10, 2017 https://t.co/7EwR44bXs0"
The latest Tweets from Steve Belisle (@steve_belisle): "The S&P/TSX now in positive territory post-Brexit! Up +1.1% since the close of June 23. A mere bump in the road... https://t.co/SIRanl3qNW"
The latest Tweets from Jaime Carrasco (@IJCarrasco): "Spoke with Frank Holmes, Chairman and CEO, yesterday and I'm confident in my BNN Top Pick as my Blockchain consideration. @bulldogholmes #blockchaintechnology https://t.co/FfQKlqH6gF"
The latest Tweets from Brian Huen (@huenredsky): "H http://t.co/trEaerwvK2"
Market. Volatile market and it's all about Europe. Whether it's geopolitical risk in the middle east, the sovereign debt traces in Europe or the US economy. Expect it will be a turbulent several months. A little weary of where we are. Globally we are at our near term highs. Except in Canada where gold might go a little higher. You need to pare back those ears of the portfolio that have grown out of proportion. The economy really needs support in the US. He has been taking some profits. The latest Tweets from Jim Houston (@JimHouston99): "How Plato Foresaw Facebook’s Folly https://t.co/jl88LbYzTu"
The latest Tweets from Ken McCord (@McCordKen): "This Thursday, December 13 at 2PM, Fairmont Royal York Ballroom, Toronto Red Jacket Capital Presents: The Uncertainty of Death and Taxes Live to 200 and learn how to afford it. Follow link for details and registration. https://t.co/tVZsMW3mq0"
Good news is that they have taken the risk of bankruptcy almost away by doing a big conversion of preferred stocks into common stocks so the balance sheet is in much better shape. However a lot of the easy money has already been made. Governments will be spending a lot of money on infrastructure. Single biggest problem with global infrastructure is electrical grids. Most technology used in substations and across transmission and distribution, dates from the 1940's. This company makes high-end networking gear. They have 60% market share. Into oil/gas production that takes longer to get going, but lasts a lot longer. Feels investors are underestimating the value of the long-term stream of income. Also, it is breaking itself up into an oil company and a gas company and these types of spin-offs tend to pay off. Top Short Has not seen anything to prove to him that they have any sort of proprietary technology and yet there is so much built into the stock. Had declining revenues and operating losses for several years. No clear technology advantage over anyone. Doesn't think they can deliver on any of their contracts. The latest Tweets from Ravi Sood (@RaviSoodInc): "RT @FeroniaInc: Feronia Completes Largest Rice Planting in the DRC - Feronia http://t.co/JXSvq4Ui""
A leading laboratory and diagnostic business. Less susceptible to changes that could occur in the health sector in the US. Very profitable with a lot of free cash flow. Very defensive. Owns timberland and involved in specialty fibres. Timber has very little correlation with commodity markets. Without harvesting, it continues to grow. Good for long-term holding. 5% yield. 67% oil. 10% yield with a 71% payout. A combination of oil production and gas refining. Every time they sell and ipod, they get $1 for ipod and $3 for accessories. Has a new driver that allows Mac’s to run on Windows. Not a big believer in it. It might encourage some non-Apple users to try it. He has been taking profits. 3 favourite sectors are energy, health care and telecommunications, so TOP PICKS are in these categories. There will be more volatility with the fluctuation in commodity price. This is a safer way to play energy. He is focused on technology and the consumer side of technology. Likes security software such as Symantec and Verisign. One of the areas in the financial services area that has pricing power. Will do better in a rising inflation. Benefiting from trucking capacity being somewhat limited. A classic market penetration in unserved regional markets. The latest Tweets from Laszlo Birinyi (@LaszloBirinyi): "Is this thing on? Market is sleepy." Not a fan at these prices and at this point in the market. 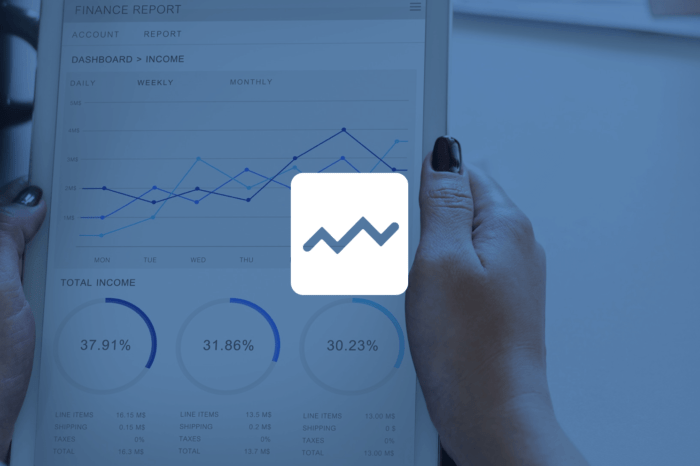 Hoped-for stronger indication of improved sales going forward. Feels there's better ways to play the tech market. Access to capital should remain very healthy. Expected to grow 13/14% at a 13/14 X multiple.